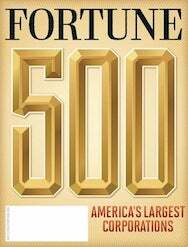 The Fortune 500 list ranks companies on the basis of their annual revenue. In 2009, Apple made $36.5 billion, a 12.5 percent increase over 2008. Overall profits for 2009 were $5.7 billion, giving the company the number 26 spot on that list. Apple is in Fortune’s Computers and Office Equipment category, and places third in revenue, following Hewlett Packard and Dell. But Apple’s return to investors over the last five years (45.6 percent) makes it number one among all companies. For the sixth consecutive year, Apple also tops the Bloomberg BusinessWeek list. As you might expect, the report gives kudos to Apple for its consistent ability to revolutionize digital technology. The magazine surveys senior executives around the world and asks them to name the most innovative companies outside their industry. These survey results count toward 80 percent of a company’s rank; stock returns count for another 10 percent, and three-year revenue and margin growth each count for 5 percent.